My father and I talked about this movie today, by pure chance. I remembered vaugely seeing some of it a long time ago, so we decided to see it again. It's truly genius in its own way. It's almost more of a documentary than a fictitious movie. 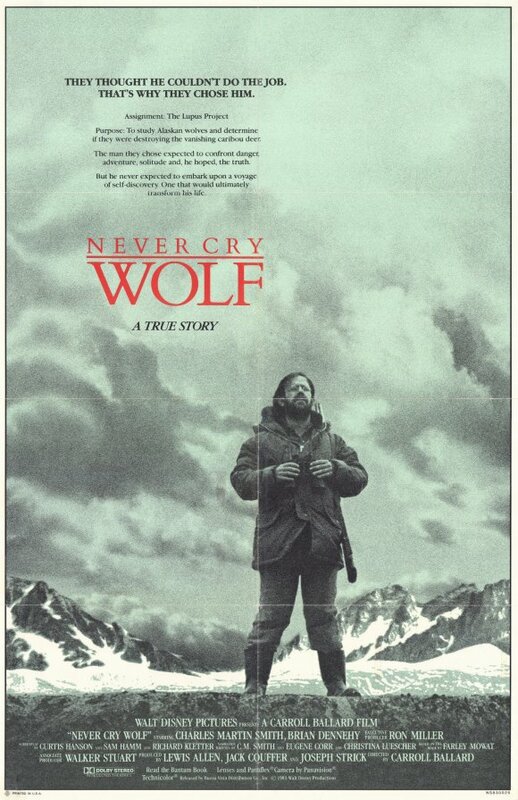 The movie is about a government biologist who are tasked to go to Alaska(I think) to do research in the wolfs habits/nature of life. The movie has some comic relief in the way some of the characters acts, but it's mainly about the researching discovering more than he ever imaging, and his feeble struggles to survive in the wilderness. So this movie is mostly about nature and the way it cycles. Beautiful, funny and engaging. Well I guess it shouldn't be a plus, but the fact the this movie is from 1983 and thereby 27 years old made an impression on me. It's almost just the score that reveals its age, and compared to other movies from that time, that is a feed in itself.